RaceTech Titanium makes Titanium nuts, bolts, and specialty fasteners for all forms or racing, medical, chemical, and industrial applications. RaceTech Titanium will continue to expand and improve our production methods and products. We sincerely appreciate all of our customers and loyal supporters. 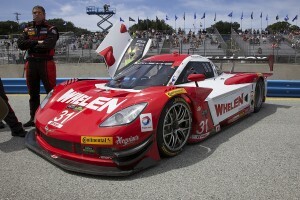 This is one of our customers in the American LeMans series. What an awesome car!! This entry was posted on Monday, August 11th, 2014 at 2:31 am and is filed under RaceTech News. You can follow any responses to this entry through the RSS 2.0 feed. You can leave a response, or trackback from your own site.